Get ready for it... November is Movember at Windows Phone Central and MO-bile Nations! November is almost here which means one thing... soon you'll be seeing loads of self-confident men walking around in glorious moustaches. That's right, November is MOVEMBER and this year we're going to join together across our MO-bile Nations communities to grow out our facial hair and raise funds and awareness of men's health issues. If you're not familiar with Movember, jump on over to Movember.com and learn about it. Once up to speed, make the decision to REGISTER as either a Mo Bro or Mo Sista (that's right, ladies can participate too, no moustache required). Don't overthink it it. Commit to it. Join in as your fellow members, writers and moderators of Android Central, CrackBerry, iMore, Windows Phone Central and webOS Nation put their smartphone differences aside to come together next month for Movember. For those who make the brilliant decision to participate in Movember, be sure to join the Mobile Nations Network we've setup on the Movember website. You can join the network as an individual or as part of another Movember team. Through the Network page we'll be able to track everybody who's participating and see how much we can raise together as a community. Come the end of Movember, we'll be awarding lots of prizes to those who participate. Best Moustache. Most Money Raised. Best Moustache Photo. You name it. Expect lots of awesome prizes and recgonition for those who join in. November 1st is just around the corner. The good news is it doesn't take much effort to prepare for Movember. All you need to do is shave your face clean when you go to bed tomorrow night after eating your Halloween treats. If you're still on the fence, hit up the links below for more information. And if you're ready to join us on our Movember challenge -- YOU ROCK -- and should keep reading for more important details. 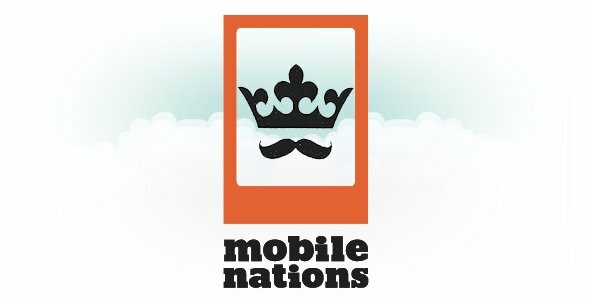 Join in on Movember at Mobile Nations! Watch the video above for a step by step walk through of what to do. The easiest way to participate is to register as an individual member. Once registered, you can join the Mobile Nations Network. To do that, you need to login to Movember.com, then click the "Networks" link on the left side of the page. Once there, search for "Mobile Nations". When the results pop up, there will be a button allowing you to join the network. The reason we went for creating a Mobile Nations Network (vs. the option to do a Movember Team) is that it allows for global participation. Teams only work within a region. What this means is that the money you raise personally will go back to your own country, but together we can still act as a group and see how much we raise together. That said, if you want to create your own team, or already are part of a Movember team, you can still join our Mobile Nations Network. Step 2: Start November with a clean shave. Yep. Though we'll end the month with glorious moustaches, we need to start the month with no whiskers. Shave and take photos. And videos. If you're reading this we know you own a capable smartphone. You'll want to put it to use all this month. Don't shave. That's easy. The next part is raising funds. Luckily, the Movember.com website makes this super easy. When you create your Movember account, a My Mo Space Page will be created for you. You can even customize the url of this page. Once you have it, send it out to your friends, co workers, family, twitter followers, etc and encourage them to help you on your mission. On your public Mo Space page there is a button to "DONATE TO ME". All people need to do is click the link, follow the instructions, and they're good to go. Be sure to put your smartphone to use and take lots of photos and videos all month long. It's easy to post updates including images and video to your My Mo Space page. We'll be monitoring all of the pages of Mobile Nations Network members throughout the month. Awesome photos and videos will get posted up on our sites, help making your moustache famous and helping you raise more money as we link back to your page. You can always email us photos and info about your cause and campaign to movember@mobilenations.com too. Once Movember is over it's time to shave... although, if you've come to love your moustache you may not want to part with it. As we said above, throughout the month we'll keep in touch with all those participating. We have lots of fun and prizes in store for those who participate in Movember at Mobile Nations! That's it. Time to get registered Mo' the force be-whisker you!